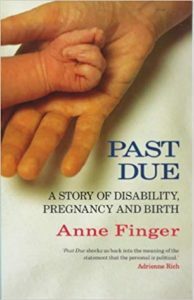 Anne Finger will be reading from an early memoir, Past Due: A Story of Disability, Pregnancy and Birth which was published in the U.S. by Seal Press. A German translation, Lebenswert, was published by Fischer Verlag in 2016. Anne Finger is a writer of both fiction and non-fiction. Her most recent book is a novel, A Woman, in Bed (Cinco Puntos). Her short story collection, Call Me Ahab retells iconic disability stories from a disabled perspective. Her most recent memoir, Elegy for a Disease: A Personal and Cultural History of Polio was published by St. Martin’s Press. She lives in Oakland, California, where she is active in the disability justice movement as well as movements for broader social change. 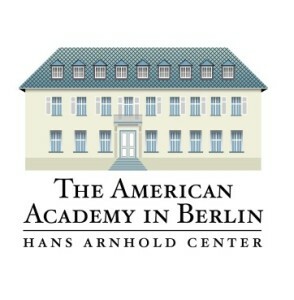 Anne is currently the Holtzbrinck Fellow at the American Academy in Berlin. Anne Finger ist Autorin von Romanen, autobiografischen Texten und Sachbüchern; 2018 erschien ihr neuester Roman “A Woman, in Bed”. In ihrem Erzählungsband “Call Me Ahab” (2009) erzählen Behinderte – sowohl Figuren aus literarischen Texten als auch real existierende Mitmenschen – aus ihrer Perspektive. Ihr letztes Memoir “Elegy for a Disease: A Personal and Cultural History of Polio” erschien 2006. Anne lebt in Oakland / Kalifornien, wo sie sowohl in der Behindertenbewegung als auch in verschiedenen Gruppierungen und Bewegungen für breitangelegte gesellschaftliche Veränderung aktiv ist. Zur Zeit ist sie Holtzbrinck Fellow an der American Academy in Berlin. Dominik Bender liest aus der deutschen Übersetzung. Eine gemeinsame Veranstaltung des English Theatre Berlin | International Performing Arts Center mit Theater Thikwa und der American Academy in Berlin.